This big bag of plastic bone skeleton parts offers endless posibilities for your Halloween graveyard display. Pile them up all together or scatter them around. Made of weather resisitant molded plastic. 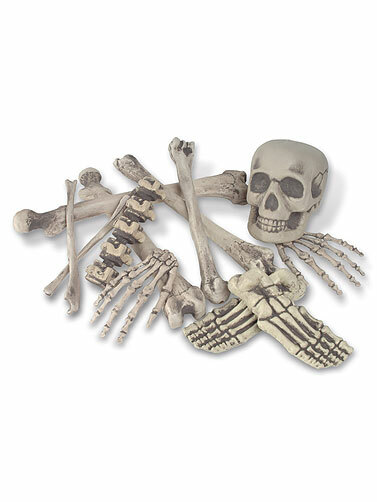 Bag O' Bones Skeleton Parts includes 16 bones, including skull, that measure 6"L to 16"L.